Tree services are very important, and it’s best if you seek the assistance and guidance of professionals. The people who specialize in tree removal are commonly referred to as arborists, and they are the experts who’ll make sure proper planting, maintenance, and caring is implemented. For the average homeowner and for those who have little knowledge on tree services, hiring arborists will look very easy. Yes, hiring one sure is easy but you need to have a knowledgeable and reliable arborist if you want the best results for your yard. The precautionary tips we have below are all the things that you’ll need to consider when hiring an arborist to safeguard your investment and property. An arborist should have the determination to be updated on all the latest information and modern skills regarding the job. So, the expert you will hire should be a part of a professional organization in order to get a hold of new information. 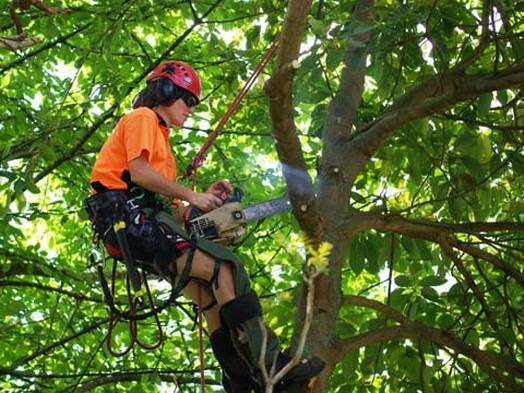 Moreover, joining a professional organization will get the arborist connected and acquainted with other specialists in the field. Arborists usually have a wide variety of policies for their insurance. The arborist that you will hire must have damage insurance and worker’s compensation insurance. These types of insurance will mitigate the risk of having complex problems whenever body injuries or damage to properties take place. When accidents occur, of course, you wouldn’t want to be responsible for them. Government agencies normally set a prerequisite for a contractor to duly work in their field. If you have time, learn all the applicable permits and licenses that are required by the local government. If you don’t, then you can simply ask for the documents from your prospective arborist. A responsible and knowledgeable arborist has the dedication to put all the accepted practices in the field into action. These practices are also being set as the norm by the community. By inspecting the practices that an arborist follows, you’ll be able to see the professional’s work ethic. Always remember that you have to put everything into writing including the guarantees that your arborist gave you. Having a contract will clear up the points that you and the professional will agree upon. Keep the tips we have mentioned in mind as each one of them will be of great help whenever you decide to hire a tree trimming to maintain or care for your lawn. Experts can provide you with quality output but you will need to do some digging if you want to hire the best in the industry. One thing that you should not forget is that you need to meet your tree service professional in person. When you discuss a tree service contractors, ask questions and size up the professional. The arborist that you will hire must genuinely care for trees and plants.